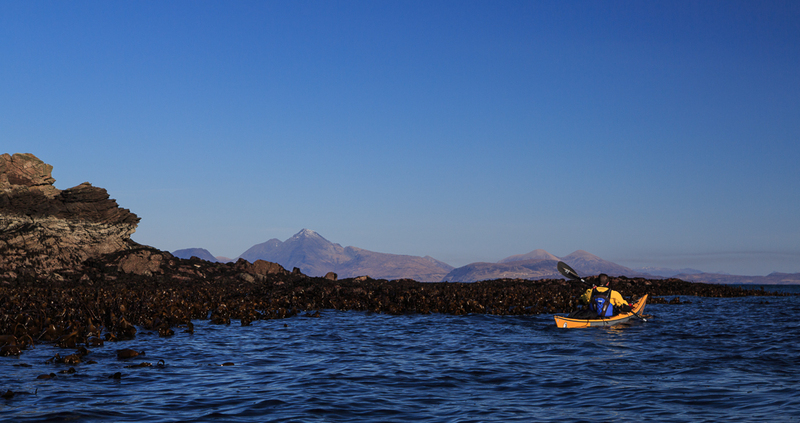 A Rum do of geos, boulders and apparently yummy kelp. 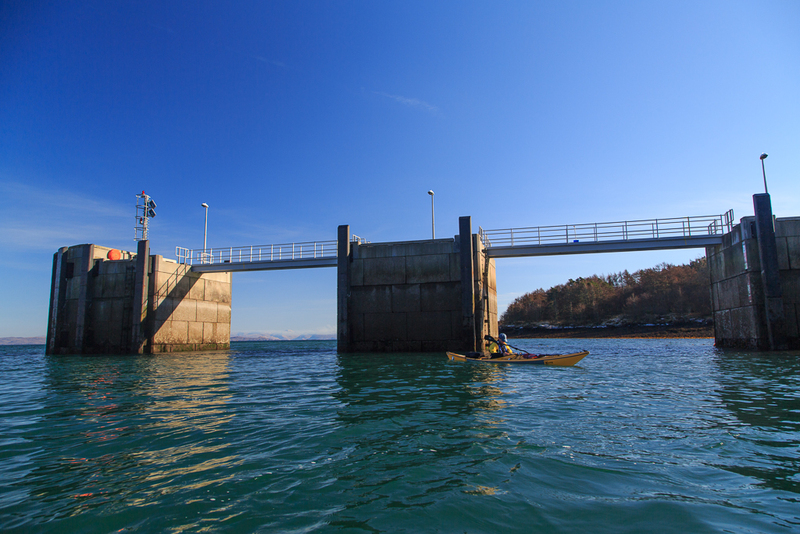 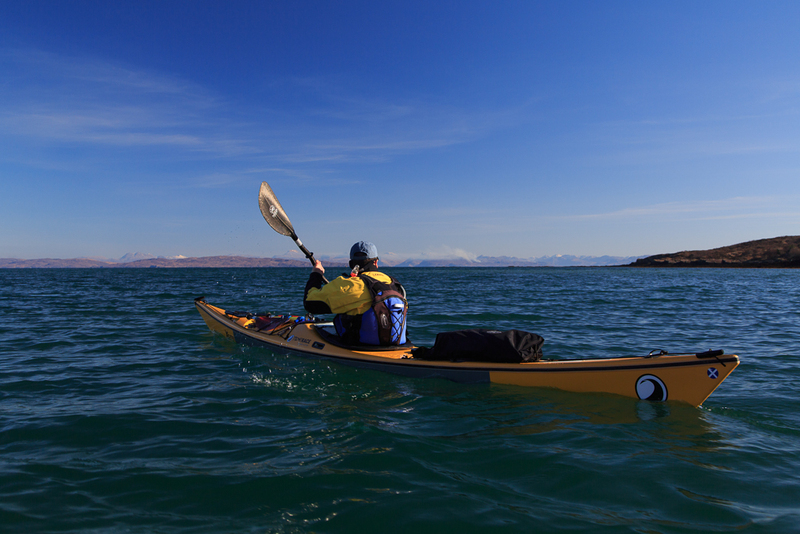 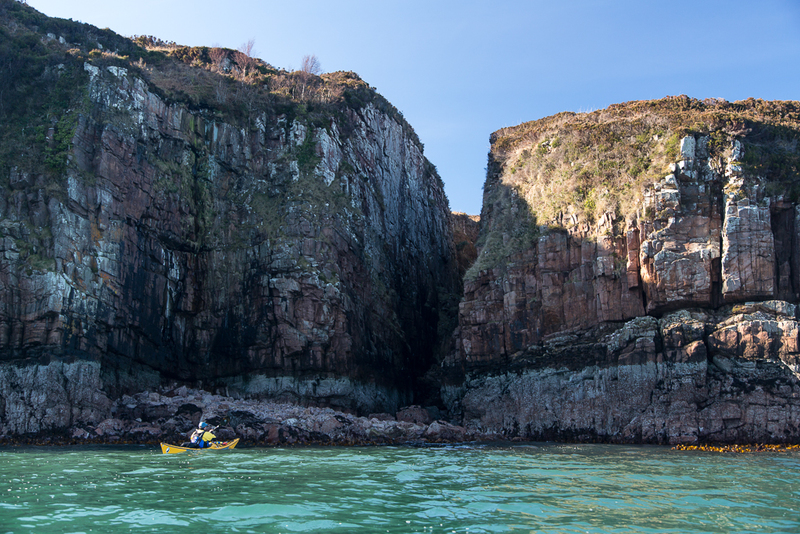 ...left the enclosure of Loch Scresort, we turned left to paddle round the north coast of Rum. 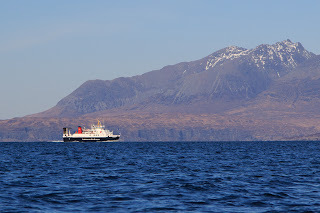 The Cuillin of Skye dominated the northern horizon. 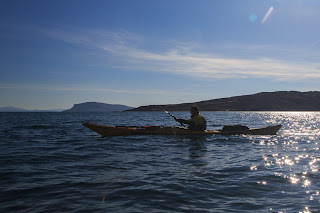 ...turquoise if paddling over sand. 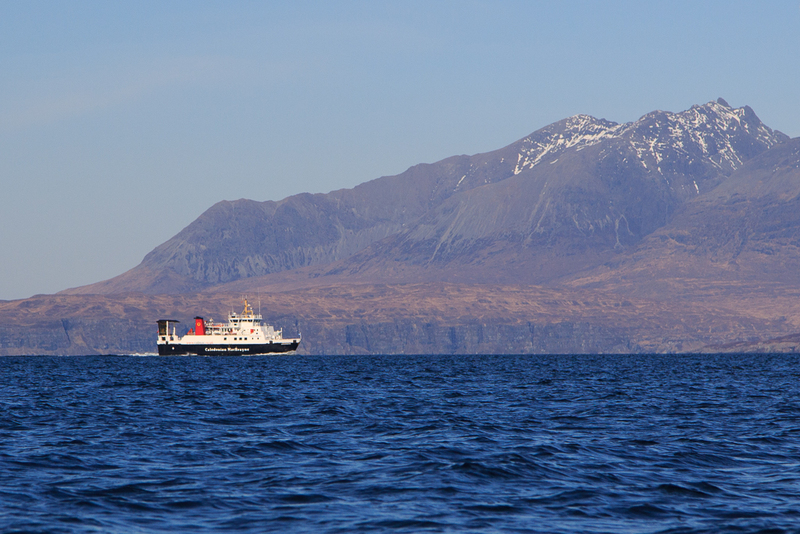 ...the MV Loch Nevis was returning from Canna. 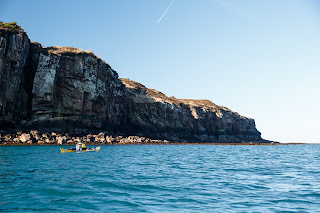 ...this huge boulder beach that had been modelled into a series of terraces and mounds by winter storms. As we rounded the entrance to this bay we startled a red deer hind and her calf from last year. 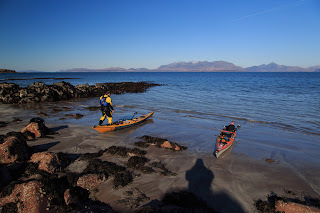 They had been feeding on kelp at low water and bounded away in a shower of spray as their ears swivelled round to focus on the noise of our paddles. 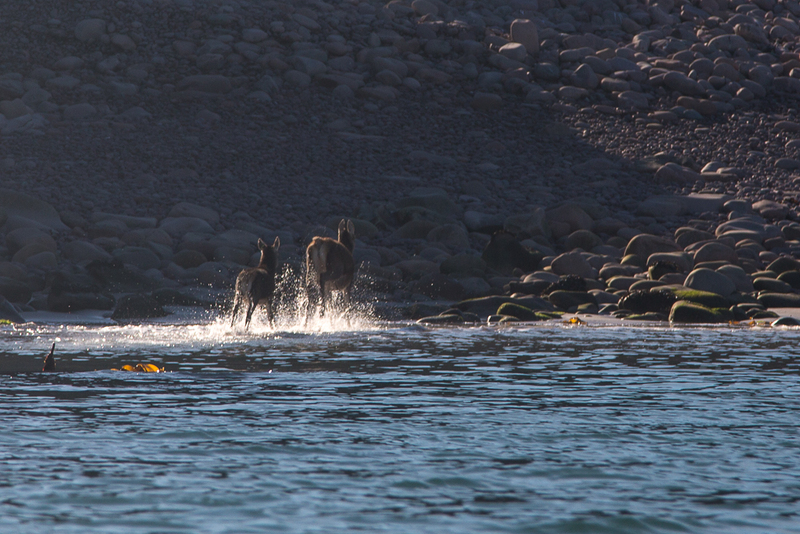 Coastal populations of red deer and reindeer feed on kelp when there is insufficient grazing on land. 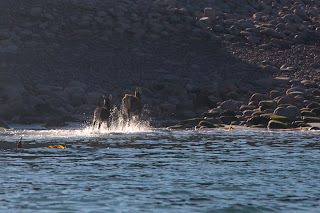 Ian and I don't like startling wildlife, particularly in winter, but we were certainly not expecting to see deer feeding up to their knees in sea water! The real issue is not Ian and I startling two deer but why is the population of deer on Rum apparently starving and eating kelp. Maybe they like the stuff (though I have not seen deer eating kelp in summer) or maybe there are too many deer on Rum?